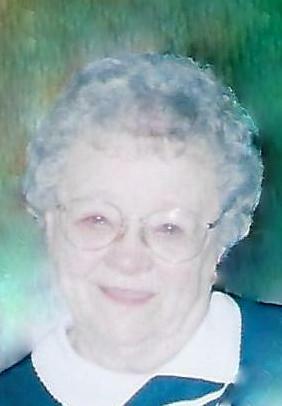 Sarah E. “Aunt Sally” Best, age 106, of Emlenton, passed away Monday evening, February 11, 2019 at Highland Oaks at Water Run in Clarion. Born December 14, 1912 in Emlenton, she was a daughter of the late David K. Best and Margaret J. McFeeters Best. Sally was a clerk for the U.S. Department of Agriculture. After retiring, she stayed home to take care of her mother. She was still driving at the age of 101 and often provided transportation for her younger friends in their 80’s. She was of the Methodist faith and at one time was the organist for her church. Sally enjoyed crocheting, knitting and quilting and all nieces and nephews received a handmade quilt when they got married or had a baby. She also loved to make dolls. Survivors include numerous nieces and nephews, great nieces and nephews and great great nieces and nephews. Sally never married or had children of her own, but her family felt that she treated them all as if they were her own. In addition to her parents, Sally was preceded in death by one brother, Herbert Leroy Best and four sisters: Helen Mortimer, Effie Brosius, Jayne McEntire and Dorothy Schruers. Family and friends will be received from 10 a.m. to Noon, Friday, February 15, 2019 at the William N. Rupert Mortuary, Inc., 430 Mendenhall Avenue, Knox. Funeral services will be held at 12:15 p.m. Friday in the funeral home with Reverend Chris Lewis officiating. Interment will follow in the Nickleville Presbyterian Cemetery, Richland Township, Venango County. Online condolences may be sent to Sally’s family at www.rupertfuneralhomes.com.